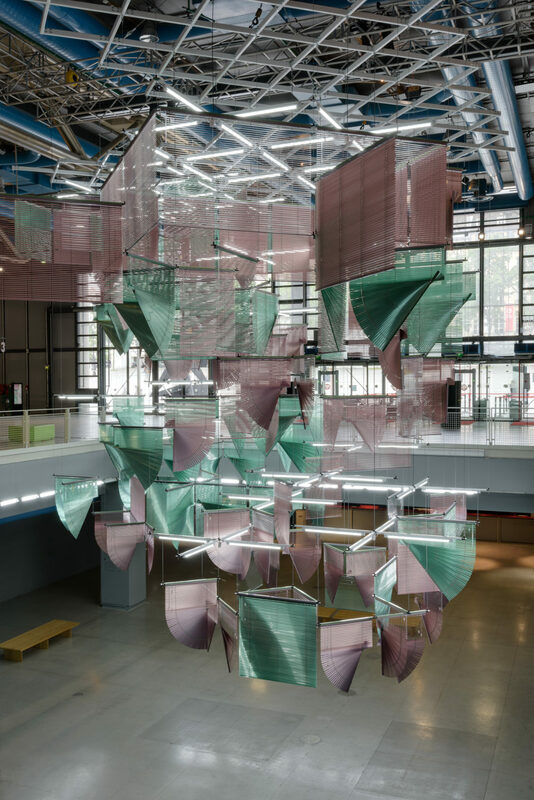 Haegue Yang was born to a writer and a journalist who were politically active in the dissident democracy movement during a period of heavy industrialization. 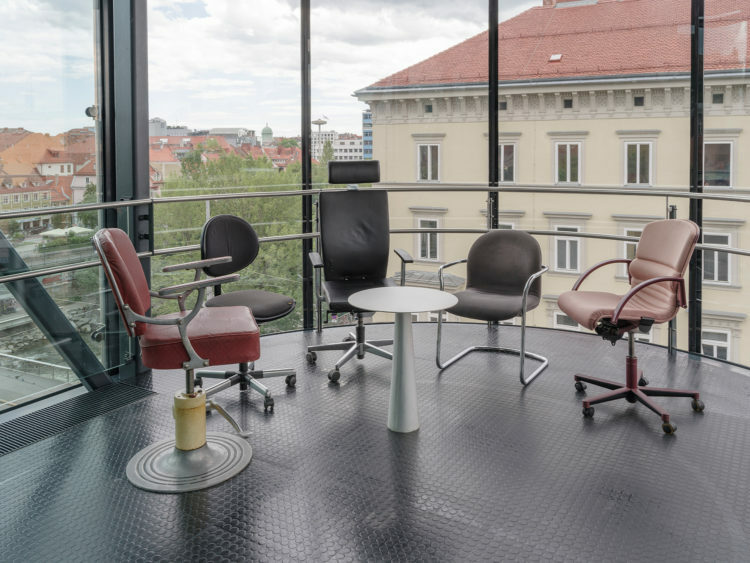 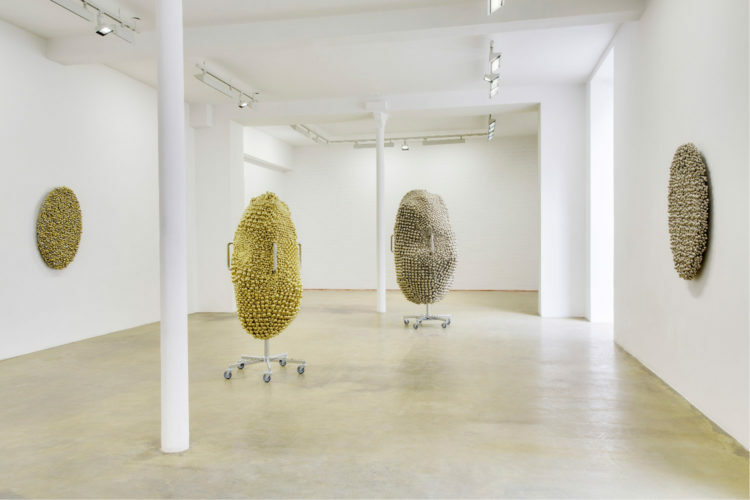 After obtaining a bachelor’s degree in Fine Arts from Seoul National University, she moved to Germany in 1994 to study at the Städelschule in Frankfurt am Main, where she herself began teaching in 2017. 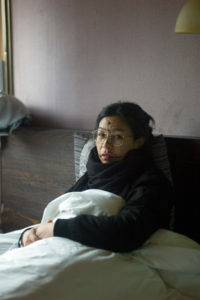 Since the 1990s, H. Yang has commuted between South Korea and Germany and exhibited internationally, living in a constant state of transit. 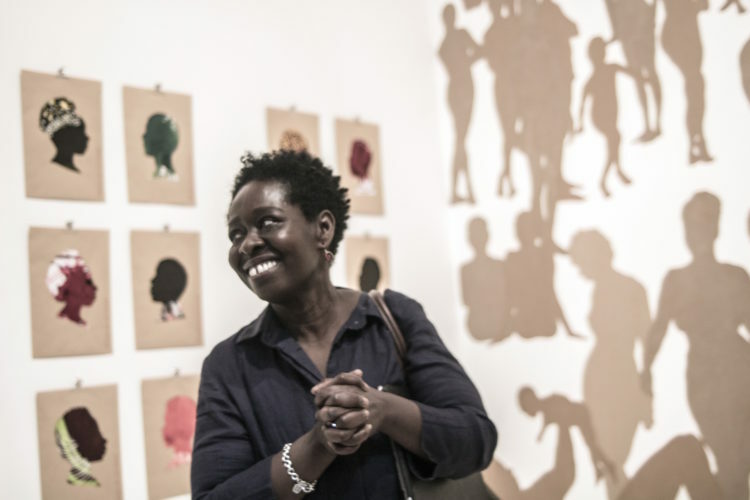 Her conscious and voluntary delocalization forms the biographical foundation of her artistic practice. 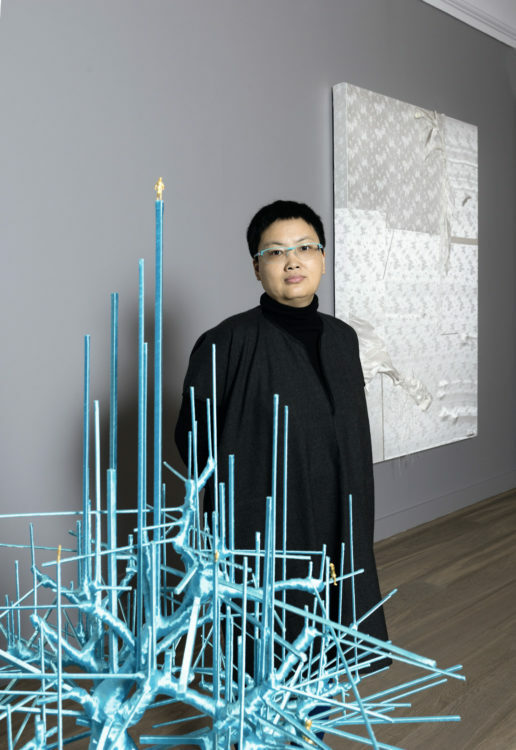 Her formative works from the late 1990s include ironic, self-referential objects that combine techniques of classical sculpture, which Yang had studied in Korea, with references to her Städelschule teacher Georg Herold as well as European and American canonized practices such as Fluxus, Institutional Critique, and Context Art. 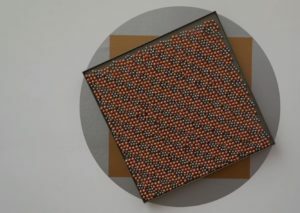 Simultaneously, her ongoing series of Lacquer Paintings and Hardware Store Collages began to unfold. In the 2000s, she extended her production to video essays, writings, photographs, sound pieces, and performative works. 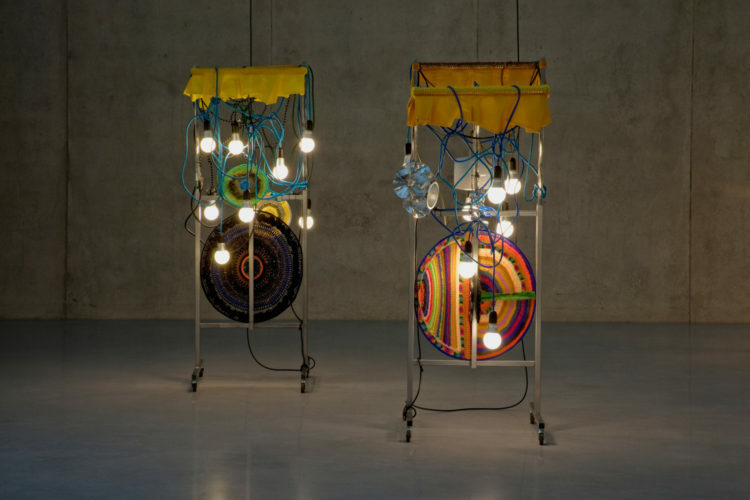 Domestic, industrial objects, or “poor” materials, recur throughout her œuvre, sometimes in eclectic formulations, with Yang’s constant re-evaluation of her practice creating the sense of an anachronistic movement. This also manifests in her crucial Storage Piece (2004), in which she piled up all of her works, including many that had been returned to her after various exhibitions, on wooden pallets. 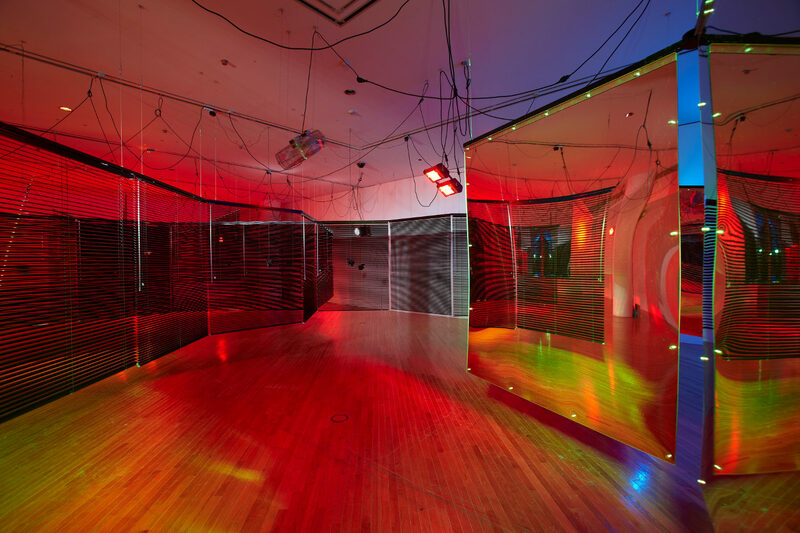 Many of Yang’s works allude to feelings of isolation and longing for community on the thresholds between private and public spheres as well as to the inner conflicts between arriving at and not wanting to arrive at a status quo. 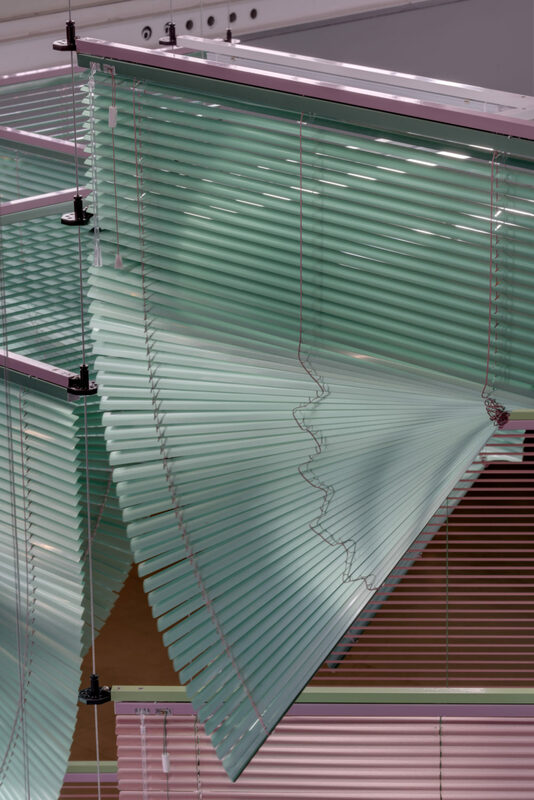 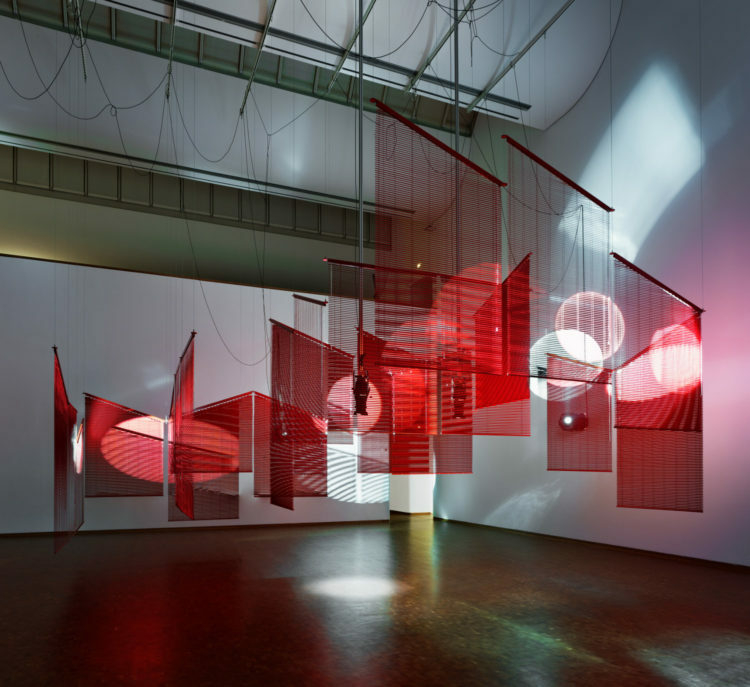 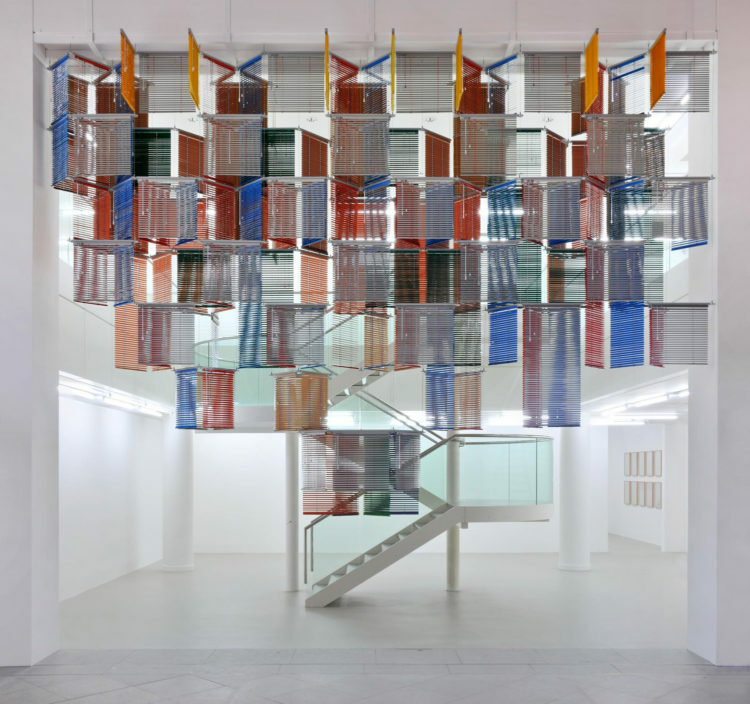 Pathbreaking exhibitions between 2006 and 2008 introduced both her diverse Series of Vulnerable Arrangements – which includes multisensory environments with various technical devices and light sculptures – and her virtuosic compositions of Venetian blinds. By translating her readings of historically significant yet ambiguous figures – such as Marguerite Duras and her idea of writing – driven by political ideals, spiritual belief, or love (in the sense of the impossibility of community) into abstract environments, she develops a unique mode of figuration that eludes easy categorization and didacticism. 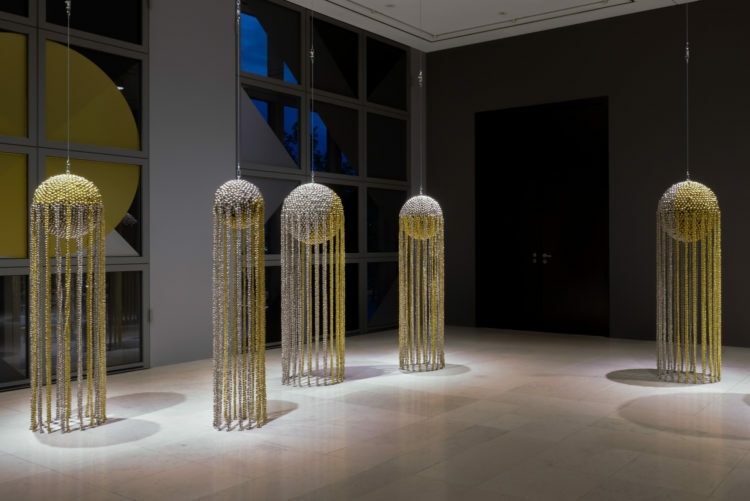 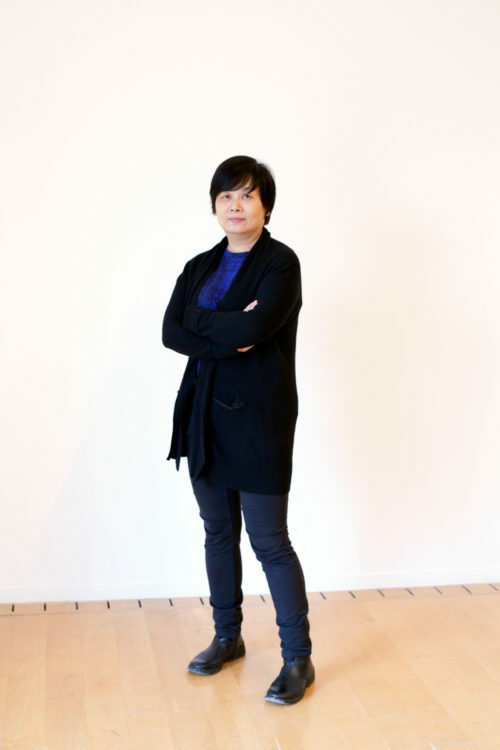 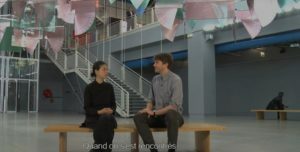 Yang’s participation in the Venice Biennale in 2009 at the Korean Pavilion was soon followed by major exhibitions at the Walker Art Center, Minneapolis, in 2009, the Kunsthaus Bregenz in 2011, and her (monumental) contribution to documenta 13 in 2012. 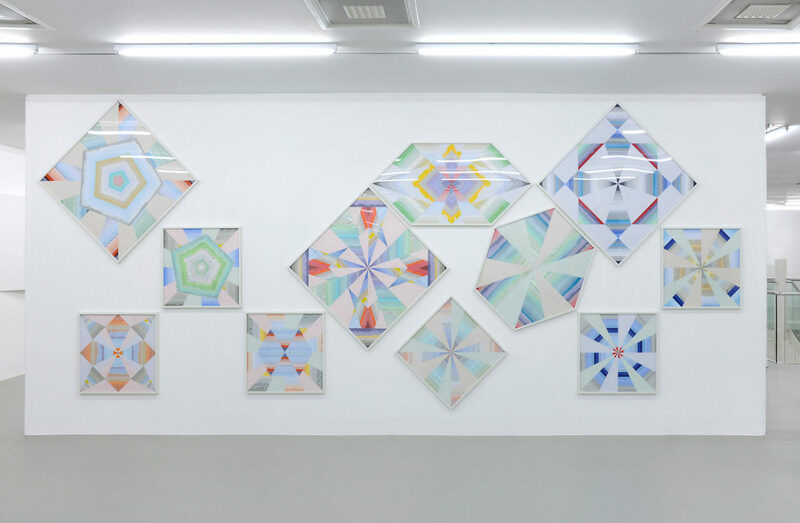 Central to her recent endeavours has been her efforts to undermine the supposed opposition between serial, minimal, and modern aesthetics and what is often termed “premodern” or “primitive” minoritized traditional indigenous art practices. 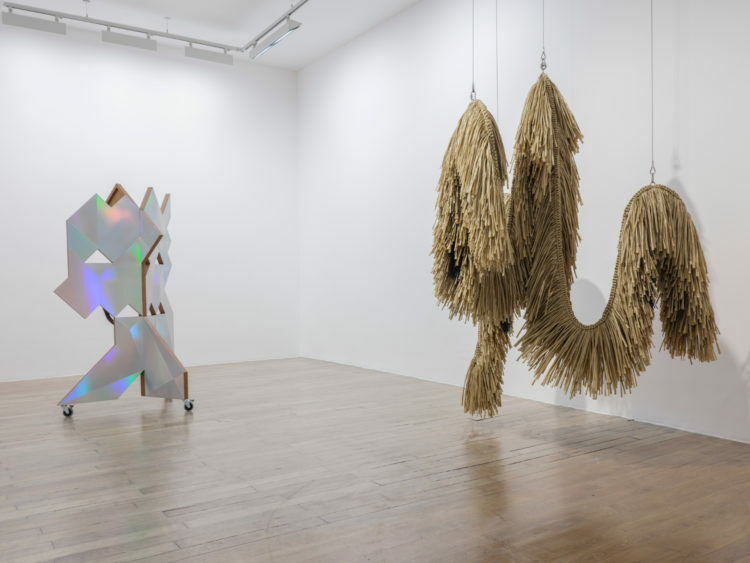 Her Intermediates, an ongoing series of artificial straw sculptures, and several exhibition projects entitled “Quasi-Pagan” are just two of the results of her multi-referential examination of the relationality of aesthetics and history. 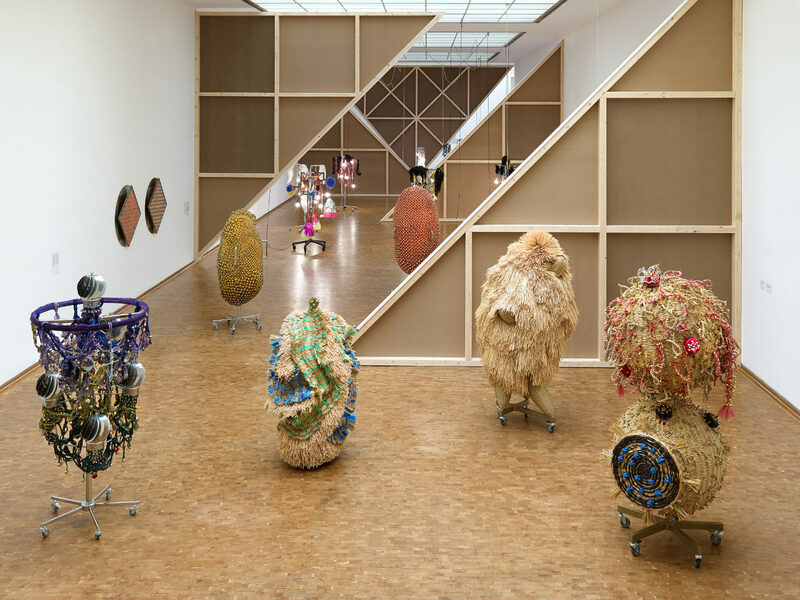 By critically facing Western cultural hegemonies with ironic, self-exoticizing gestures, she demonstrates the deficiency of monolithic perspectives and linear conceptions of art history. In her permanent state of flux, H. Yang will continue to unfold the plurality of histories relating to what is at stake. 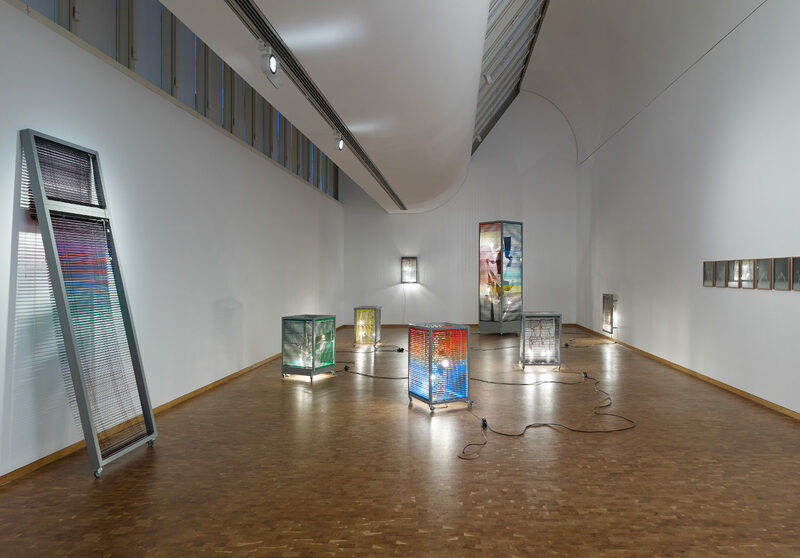 Yang’s extraordinary and extensive body of work comprises nearly 1500 pieces, as recently documented in the catalogue raisonné published on the occasion of her first comprehensive mid-career survey ETA 1994–2018 at the Museum Ludwig in Cologne.